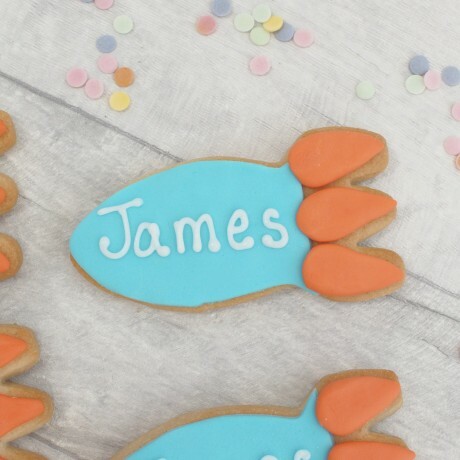 Lovely handmade rocket cookies which you can personalise with one name for a gift, or many names for party cookie favours. Choose how many cookies you want, and what flavour (Vanilla, Gingerbread or Chocolate), using the options available. 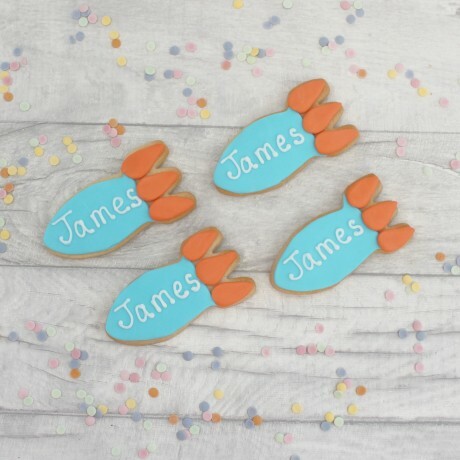 Each cookie is approx. 2" x 4"